Delivering flowing acoustics to bring a soft glow to a modern club honouring the past. 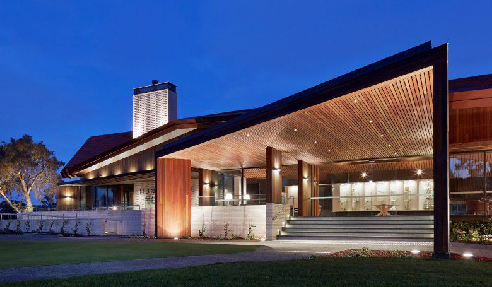 Built on the site of the original 1941 clubhouse, the new 2 story Clubhouse needed to blend history and tradition with a modern architectural design. 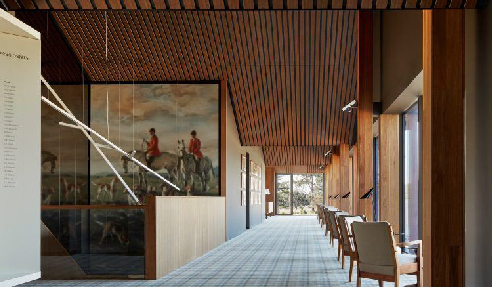 A tribute to its rich history, the Huntingdale Golf Club is considered a monarch in the golfing world. The interior is sophisticated but kept traditional with terracotta tiles, white bricks and plaid carpet that all work together to create a modern character which references the past, not to mention the spectacular timber ceiling. Upon entering the club room you are greeted with warm and welcoming tones and the soft lighting and interior finishes all set the mood of a prestigious club with a grand heritage. The unique folded profile roofline is reflected by the ceiling internally. Inarc Architects worked extensively with Atkar to fine tune the ceiling layout to meet their design aspirations and budget, bringing acoustic perfection to the dining and communal spaces. 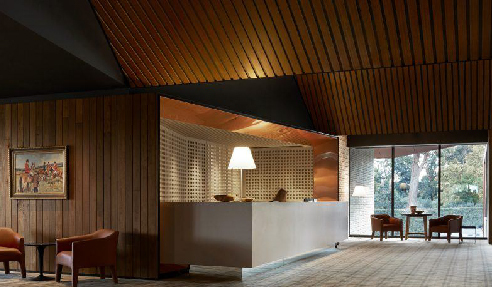 Like an echo from the past, Atkar's slatted timber lining continuously rises and falls throughout the clubhouse causing the spaces to flow and lending a sense of cosiness. The club also accommodates divisible function rooms featuring acoustic control making it ideal for meetings and gatherings. Atkar liaised extensively with the builder on site to assist with the complex process of integrating and coordinating the required services. 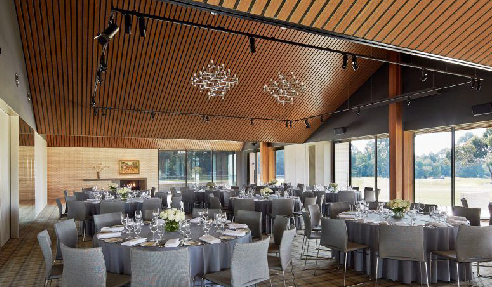 The large ceiling area was delivered within the project timeframe, achieving yet another outstanding finished result and adding another milestone to the club's history. 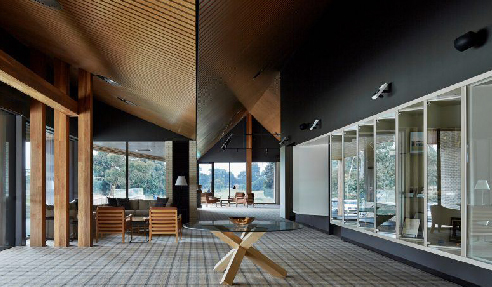 "We are all delighted with the outcome at Huntingdale Golf Club, the comfort of the acoustic environment is something which everyone notices upon entry to the building," said Reno Rizzo, Architect Director, Inarc. 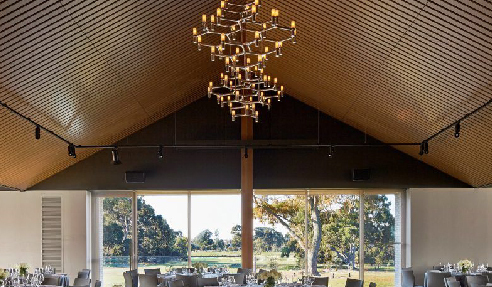 Contact Atkar today with your project requirements or visit www.atkar.com.au today.